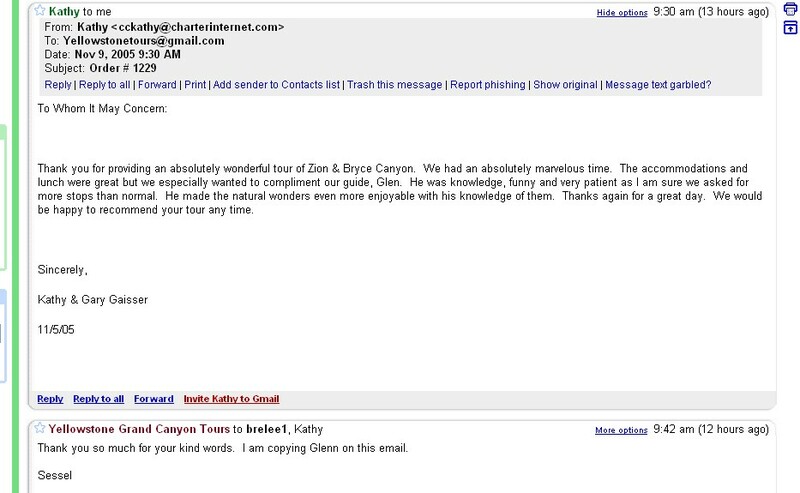 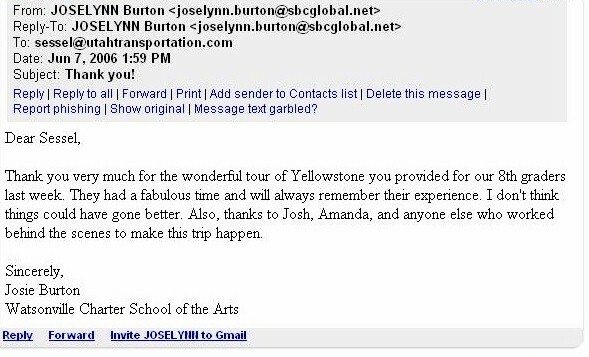 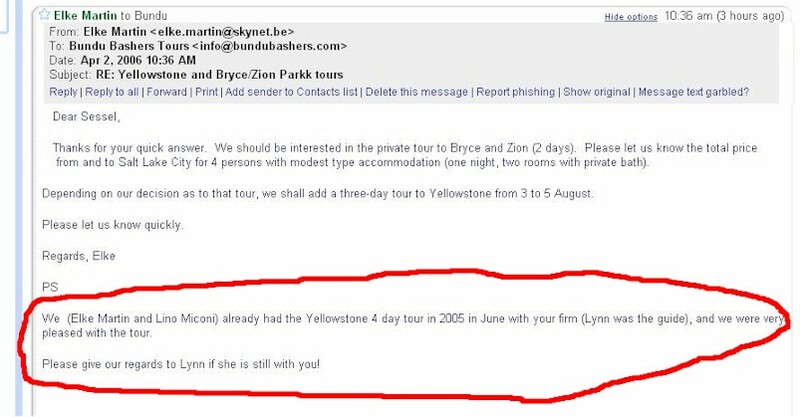 Listed below are unsolicited emails we have received, from guests who have taken our tours. 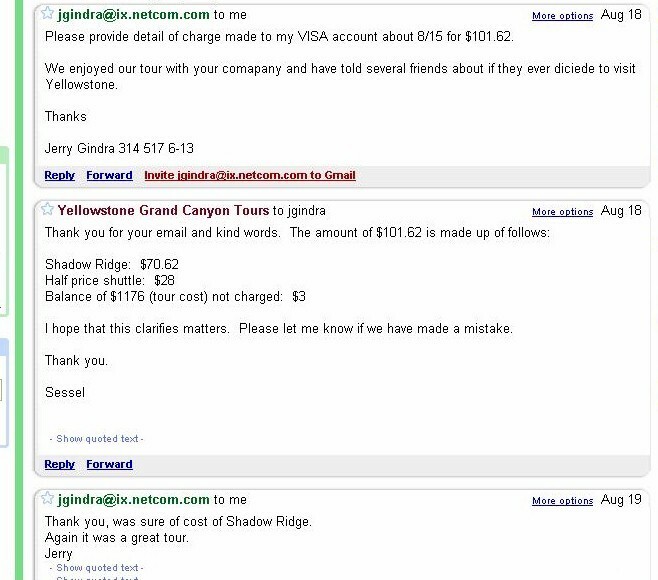 Please click on each one to enlarge it. 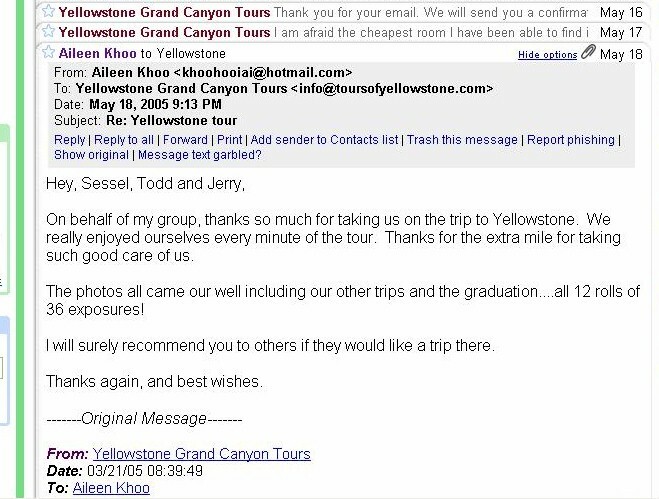 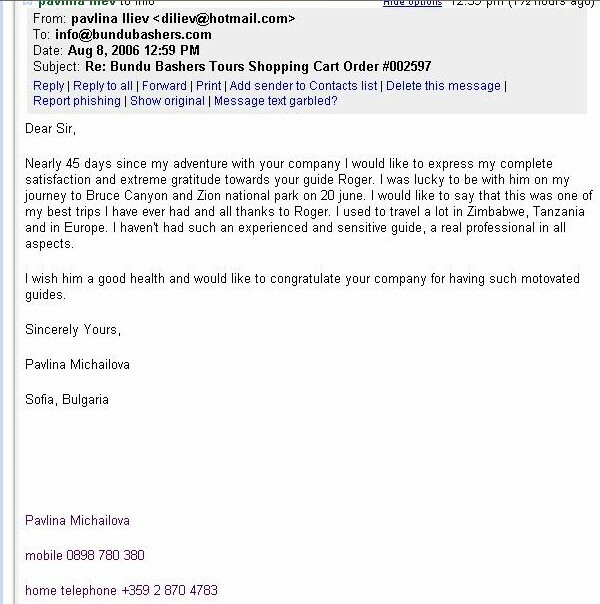 "(We) wet our pants ..."
"Cecil made the day especially great ..."
"We thoroughly enjoyed our tour with Katie ..."
"I don't think things could have gone better ..."
"One of my best trips ever ..."
"Your company provided a spectacular tour ..."